Discover how the three key elements of UZAZU work together to bring you embodied empowerment. UZAZU gives you a Model. >>> With an Embodied Framework, you can make important connections between your Thoughts, Feelings & Behaviors in a way that's 'real' and concrete. 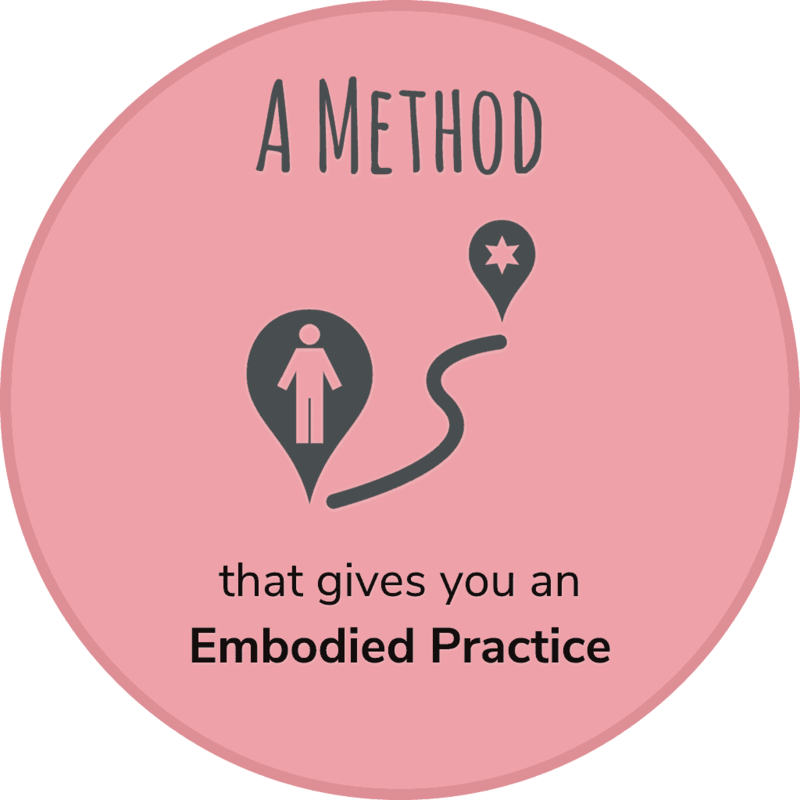 The UZAZU Model of Embodiment gives you a clear, practical way to connect key polarities of 'Self' back to concrete, embodied actions. For me, UZAZU Change Facilitation puts things in perspective. Boom. It is like suddenly I just simply get it. Not only from a mind perspective but also from a heart perspective. And for me, my work is so much stronger and more beautiful now, seeing people go with the natural flow. It's so easy to get lost in ungrounded 'labels' or 'ideas' about our self & others. We tend to be VERY quick to form concepts & ideas about 'self' & 'other'. Our mind automatically forms ideas about, say, 'your impressive self-confidence', or 'my chronic insecurity'. The mind is very quick indeed to label and judge ourselves and others! And then we proceed to pull towards or push away from these variously charged appraisals. But how real and how helpful are these various notions we've grabbed onto? Are they truly accurate and empowering models of our lived reality? Or are they just another half-baked, 'theory' we've cooked up about some Imagined Self? 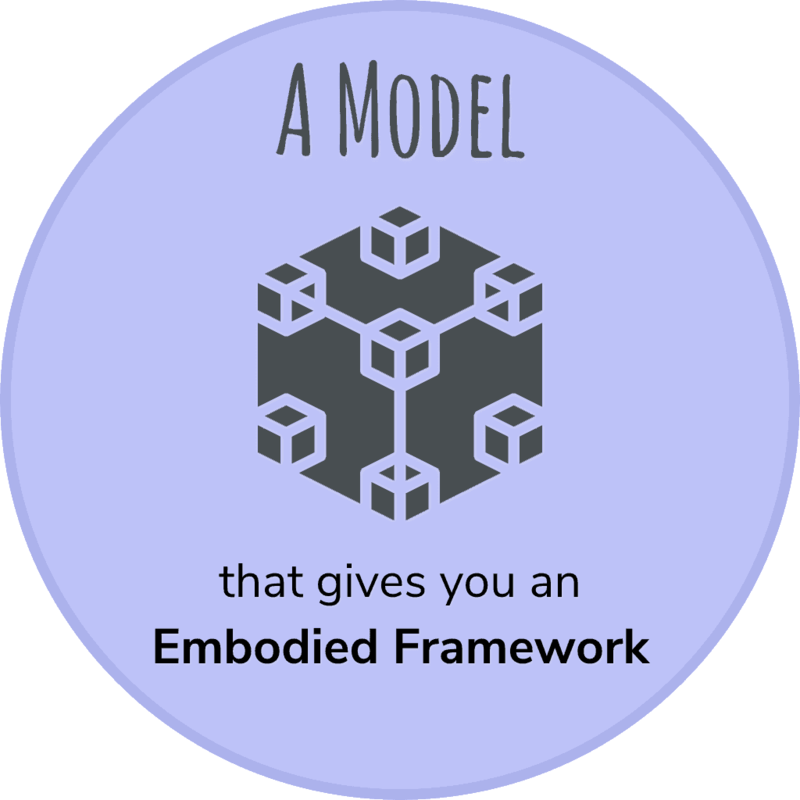 An embodied framework grounds your abstract self-concepts in 'tangibility'. Our minds quickly run away from our body's senses and we quickly 'loose touch' with the more tangible layers of our 'reality'. Working with an embodied framework for self-understanding gives you a way of working more directly and 'indigenously' with your body's natural intelligences. A sound embodiment model & method gives you deeply empowering ways to skillfully direct your embodied awareness, and then generate valid, grounded meaning from what you notice. ...Better than the mind (mostly unconsciously) just jumping to assumptions, eh? How does an embodied understanding of your 'Self' help you grow faster? Understanding your self in an embodied way, using UZAZU, helps you understand more precisely HOW you're 'doing' (or enacting) your various thoughts, feelings and behaviors. And it also gives you a concrete road map of how to change what's wanting to change! UZAZU integrates years of research into HOW the body naturally tends to expand, contract and move in space (both internally and externally), and integrates it with leading models of Emotions & Affective States, Personality & Behavioral Traits, Values & Interpersonal Needs and Social Roles and Career Interests, holding them in an Integral framework. It grounds all these highly valuable (and highly regarded) frameworks back to one common root - your bodymind. And this makes them directly 'embody-able'. 'Modeling' specific emotional states with your body affords powerful opportunities for deeper embodied listening and self-awareness. ​And your framing those feelings in terms of 'this sadness' leads you to think of various 'reasons' for the sadness, and your mind starts to create a whole story around it. and your discover that there's a lot of energy (or 'high parasympathetic arousal') connected to that 'Sadness'. Lo and behold, as you skillfully allow let that energy to move through your body, you discover that there's a fair bit of Anger underneath that Sadness! (Anger that perhaps felt safer to experience as Sadness...) Without a conscious, embodied exploration of those feelings, and an understanding of how & why your body manifests specific emotions, it might have taken you months or even years to uncover that Anger, and the 'deeper truths' that gave rise to it. Exposing yourself to really good research and great theories about important things such as Emotions, Values, Interpersonal Needs, etc. can be super enriching... But without a direct way to embody them, these theories can, ironically, contribute to becoming even more 'stuck in your head'. UZAZU allows you to connect key theories & models of 'Self' directly back to a simple set of "Fun Things to See & Do While in a Body". It empowers you to use these valuable maps not just as 'important things to reflect on', but as an actively embodied skillful means by which to navigate this beautiful (and often challenging) terrain of earthly being. UZAZU gives you a Metric. 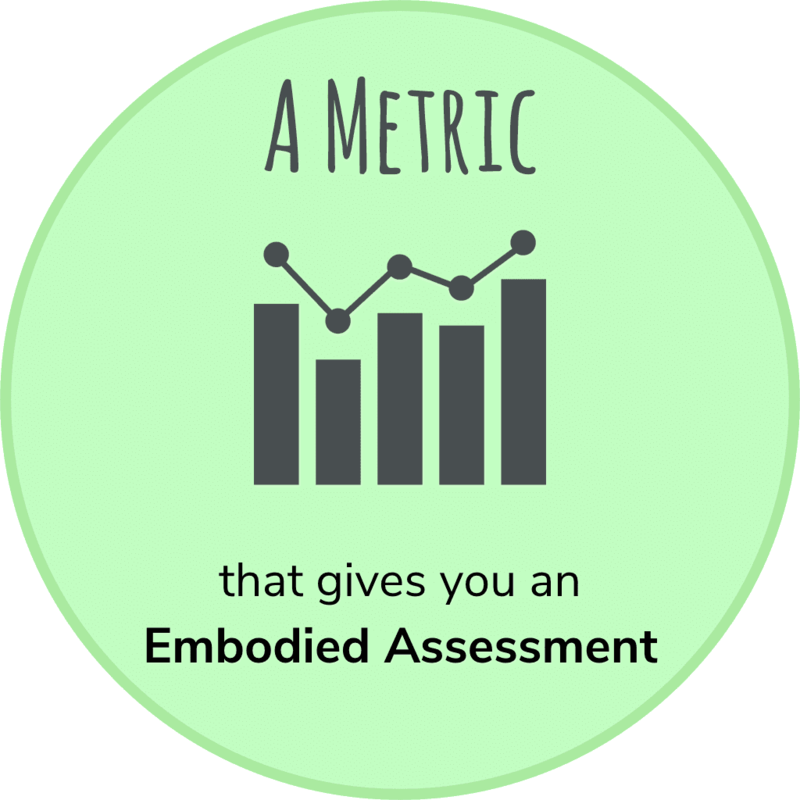 >>> With an Embodied Assessment, you can measure & track your Thinking, Feeling & Doing in a way that's highly integrative and actionable. Thinking can easily dominate your self-reflective processes. 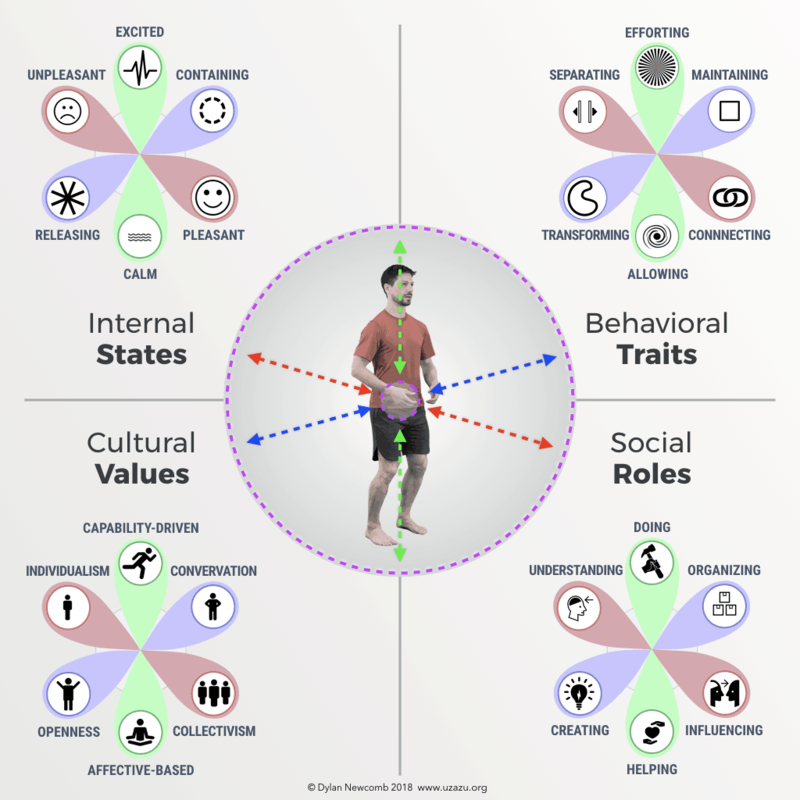 Assessing your non-verbal, embodied responses to things, then combining that with more cognitive self-reflection, supports a deeper, more integrated self-awareness. For me, personally, it's really been about balance, and giving a very tangible experience to polarity. There's Yin and there's Yang, but there's so many different facets to Yin and Yang... And when you can embody those energies—and not just understand them conceptually—you can use that knowledge in every experience in life. Performing regular cycles of self-assessment is incredibly helpful. Good self-assessments can help keep you clear about where you’re really at, and focused on what’s most effective for you to give attention to (as opposed to whatever is 'screaming at you the loudest'). 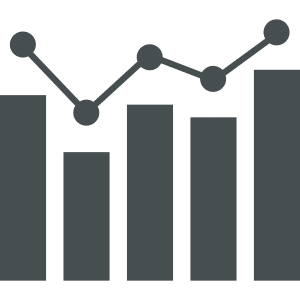 The more holistic and accurate the Metric you use, the better you can answer key questions about yourself such as: How AM I really doing? Is [x] getting better or worse over time? Where can I best focus my attention now, in order to continue growing? But let’s face it: Your mind can & will play tricks on you. ...Especially when your thoughts are being affected by your emotions —which is, like, pretty much always. Your mind’s inner dialogue is not the most ‘reliable narrator’ when it comes to accurately monitoring & measuring the levels of your various skills and states of mental-emotional well-being over time. Our intuitive concepts about 'how I am doing' & 'what I need right now' often need a reality check! And a more holistic, embodied approach to self-assessment can help. Integrated & Embodied Self-assessments super-charge your Self-Awareness. 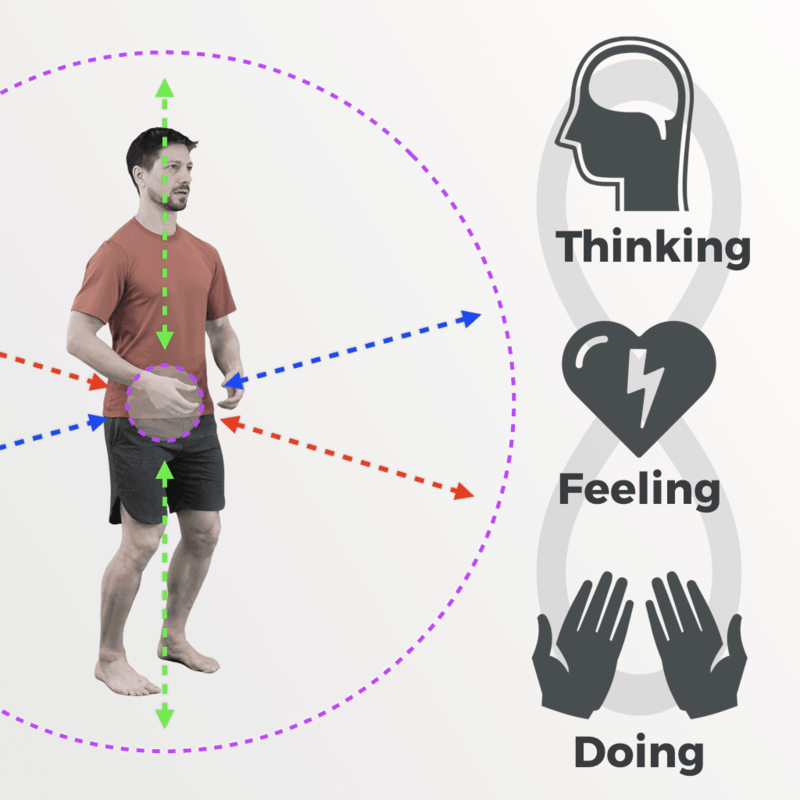 UZAZU self-assessments typically combine written questions for you to THINK about with precisely correlated postures and movements for you to to DO and FEEL. By closely combining, your mental self-reflections with specific physical movements and embodied listening, you provide a huge support to your self-awareness by simultaneously integrating your Thinking, Feeling and Doing. And this is where having an embodied assessment method—that's deeply connected to key aspects of your life— can be so incredibly helpful. A large portion of your Thinking, including your belief and motivation forming, happens Unconsciously—below the level of your Conscious Awareness. UZAZU's approach to self-assessment systematically activates the layers of Feeling and Behavior beneath the mind, bringing more of 'your whole truth' into Conscious Awareness. For example: you might be trying to decide what direction to take your career. ​Let's say have the idea that a certain Caring Profession would perhaps be a good fit for you, but you're not feeling SURE. And this DOUBT is holding you back from making it happen! So then you use UZAZU to model, or 'enact' the archetypal, spatial embodiment pattern of how this type of career is typically engaged in the world, and you FEEL, right away, that it's too narrow, too confined a space for your comfort. This gets your thinking about about how important creativity is to you in this phase of your life! You start reflecting: "Hmm.. Maybe I need to see what kinds of work would allow me the space to create unique solutions for things..."
And once that happens, those new feelings and insights can empower your mind to start (re)forming a more inclusive, integrated story about your lived reality. The value to your personal growth of having some way of doing this can't be understated. Your Unconscious holds your Shadow and the Body holds your Unconscious. You know that phase "you don't know what you don't know"? Well, having a safe & skillful way of being able to sense (and make sense) of how your body responds to key possible ways of 'showing up' and engaging with a specific situation can reveal things to you your mind wouldn't notice on it's own. UZAZU gives you a Method. 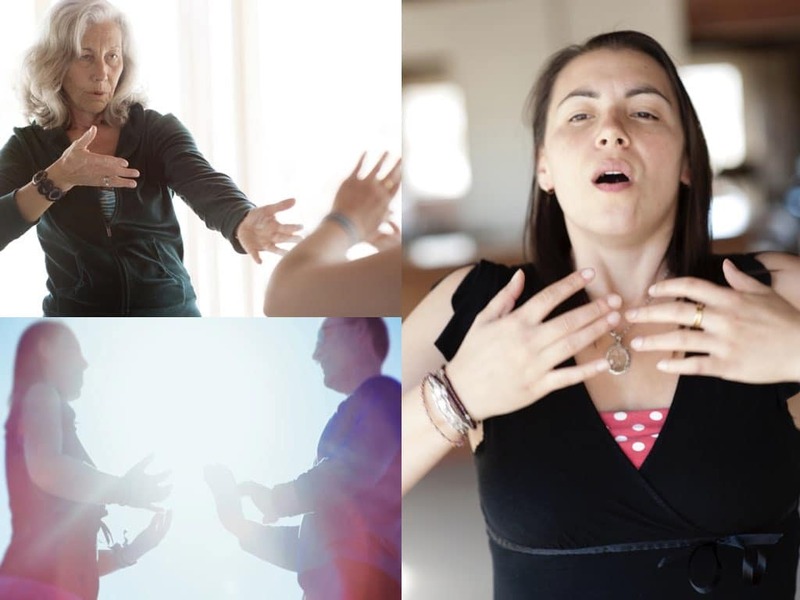 >>> With UZAZU's Embodied Practices, you can cultivate your ongoing Personal & Interpersonal Development in a way that empowers you to connect to Self & Others. UZAZU is a powerful contemporary approach to working with the core states, activities, and life contexts shared by all of us. It brings balance to our lives and empowers us to find greater fulfillment in areas such as our health and well-being, relationships, work, as well as spirituality and connection to the greater flow of life. The UZAZU approach supports one in more fully feeling into the new possibilities and starting to enact them almost immediately. 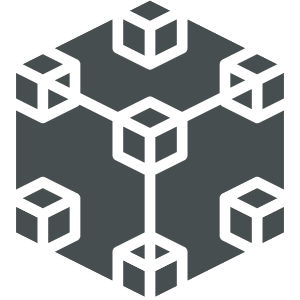 UZAZU promotes a happy & satisfying engagement with life by helping you optimize & integrate your Thinking, Feeling, and Doing in a way that consciously connects your sense of Self with the world. 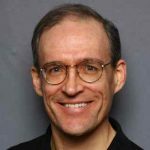 There's very possibly a key missing piece in the Practices you currently do. Yoga. Meditation. Chi Gong. Pilates. Even Journaling. What ALL these practices have in common is that, in most cases, they have you working 'on yourself', relatively by yourself. Even if you're sweating away in a room full of other people, these practices very rarely, if at all, have you directly practice connecting & interacting with your world. And that's fine—these can all be great and hugely valuable practices! But the part that's still NOT being directly attended to here is huge and may well be 'the missing piece' for you: Without a practice that explicitly (re)conditions your nervous system to attend & respond to your environment in skillful, coherent ways, you may likely be left wondering why you're (still) having difficulty carrying the good feelings from your personal practices 'off the mat' and into more situations in your 'daily life'. As a Social Animal, you need to support & cultivate your capacity to connect. The last 20-40 years of research in psychology and sociology have revealed something crucial that we are only starting to realize the implications of, much less take skillful action on: Emotional and Social Intelligence are developmentally foundational to having a 'healthy' Cognitive Intelligence, AND, they have both shown to be significantly greater predictors of happiness, life satisfaction and professional success! Not only are Social-Emotional Skills so key to our happiness & success, to the degree we lack them, they are the source of much, if not most, of our suffering! Yet how much time do we explicitly devote to cultivating these 'intelligences'? How often is your personal practice directed towards helping you with this? Increasing your capacity to skillfully engage requires a Relational Practice. Many different systems in the bodymind need to work very closely together in order to support 'healthy & happy interactions' with our world. That's why they naturally require highly integrative practices. But that doesn't mean they need to be 'complicated'. 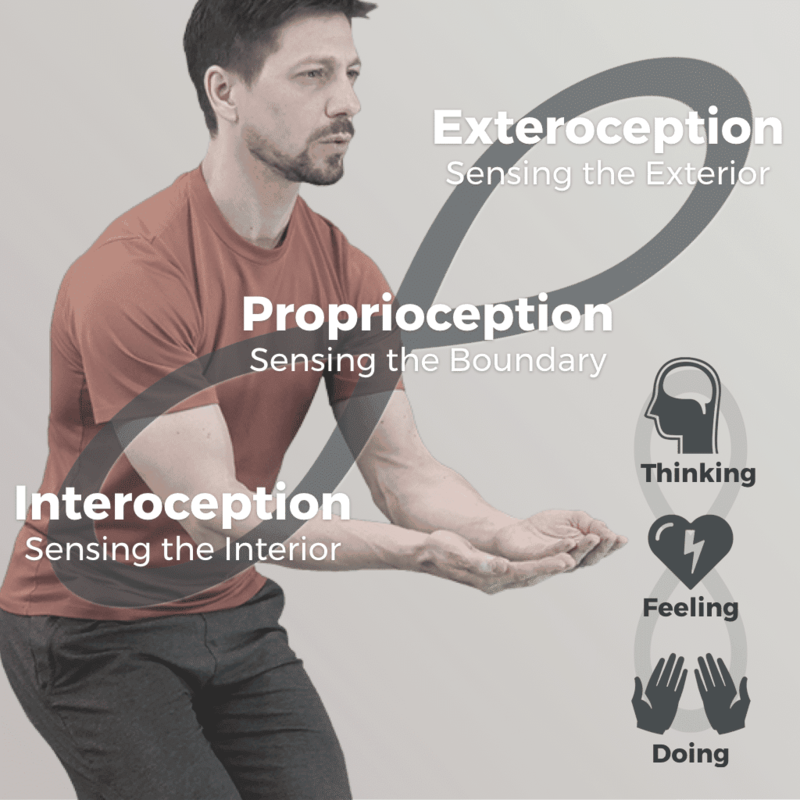 At the foundational, 'rubber meets the road' level of it, we can simplify it down to three 'zones' we need to attend to: Interoception, or your internal, felt sensing; Proprioception, or your sense of body-shape, movement, and relatedness in space; and Exteroception, or your outward-directed senses of sight, hearing, touch, etc. The more a practice helps deepen your capacity to simultaneously attend to the dynamic interaction between your interior, boundary, and exterior—both mentally, emotionally, and physically—the more that practice that will directly increase your capacity to skillfully and joyfully engage with life. 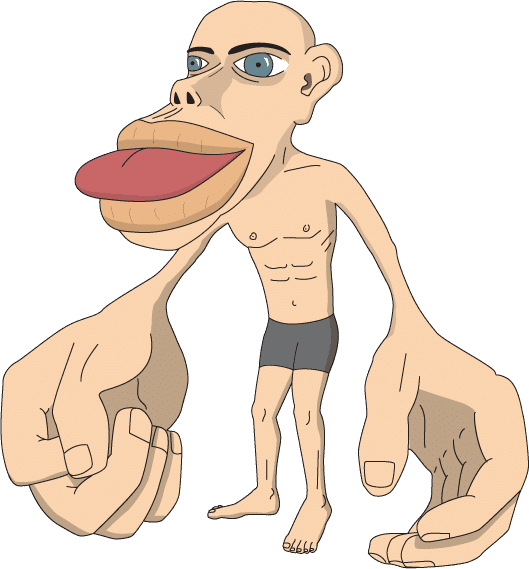 The 'Homunculus' depicts a person drawn to reflect the relative space our body parts occupy within our brain's sensory cortex and/or motor cortex. What stands out...? UZAZU Practices optimizes core patterns of neuromuscular activation via your Body, Hands, and Mouth. By integrating these in a supportive relational context, it cultivates positive Thought, Feeling, & Behavior. Practicing UZAZU activates core neuromuscular patterns in a relational context. Your sensory-motor system is the foundation of your active interface between Self and World. And there are two areas of the body that generate the most sensation input into your brain and have the most fine motor control—your mouth and your hands. Drawing on it's years of original research into the connection between vowels sounds, bodily movement, and affective states, UZAZU Embodiment Practice guides you to shape these two neurologically dense areas of your body, together with the overall form of your whole body, into a simple set of foundational postures and movements. Each posture & movement pattern activates your neuromuscular pathways in different ways, supporting specific kinds of thoughts, emotions and behaviors. ​The more you practice and 'rehearse' each of UZAZU's distinct ways of using your bodymind to support each core pattern of thought-feeling-action, the more easeful and automatic it becomes for you to activate that response when the situation calls for it. When it's time for you to be more assertive, your bodymind naturally 'knows how' and can activate accordingly. When the moment calls for you to let something go and relax, well, you've been regularly training your whole bodymind to do just that, so it's way easier to shift into it. Each moment in life is inviting you to 'show up' in a unique way... Can you? Maybe it's a moment to connect more deeply with someone... Maybe it's time to assert your boundaries and not take on their emotional state... Maybe it's time to 'get curious' and experiment with different approaches... Or maybe it's time to 'buckle down' and push some challenging work through to completion... - If you really listen, you can hear each moment 'quietly inviting you' to show up in a way that allows YOU to be most fully in service of what's wanting to happen. This is empowerment—having the capacity to 'naturally answer the call' of each moment. And that's when the magic happens; that's when the flow states keep flowin'. How often do you 'need' to practice to start getting results? Most people notice a significant shift in their energy & mood with the first 10-15 minutes. It's effects on your state are often surprisingly immediate. A short personal practice session can last 10-15 minutes and a full/long session 30-45 minutes. So how long does it take to shift not just your mood-in-the-moment, but also your habitual responses to key challenging situations in daily life? That can vary. It depends on a lot of different factors... For some people, practicing UZAZU can help catalyze significant shifts in their habitual responses within just a week or two of 3 practice sessions a week (Read one woman's story below...). For others, it may take a few months. Regardless, most people start experiencing significant benefits immediately. You can practice UZAZU at several different levels of depth and of support. UZAZU is often used as a solo practice, typically done in the mornings or the evenings, but is also great for just 5 minutes here & there to quickly shift & align your energy state. It can be done alongside a Yoga or Fitness routine or on alternating, rest days. It can be very complimentary before or after a Meditation session. Some who have trouble staying focused and motivated in Mediation practice actually use UZAZU instead of meditation, as it can be used to achieve many of the same 'purposes'. UAZU can be done together with a partner, which is incredibly useful as a way of attuning with and connecting to an 'Other'. 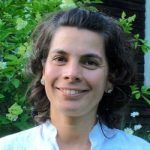 And finally, U​​ZAZU is very powerful when used in the context of personal coaching sessions as a way of uncovering deeper layers of a certain 'issue', of processing & integrating past traumatic experiences, and of cultivating more empowering ways to engage in challenging situations. 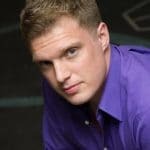 Click here for more information about how UZAZU-founder Dylan Newcomb uses it in his own private coaching practice. There's something magical that happens when the intelligence of your body helps you find your way back to an empowering state of connectedness. All of a sudden, relationship dynamics, which seemed so complicated and fraught find a much simpler & smoother way of working themselves out. 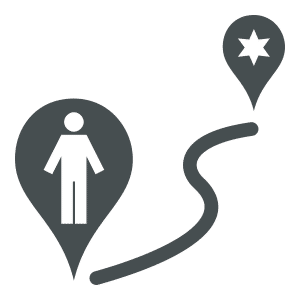 This woman below shares beautifully about her own very personal journey back to a more simple and effective way of connecting with her newlywed husband. (And how doing an embodied practice together may have saved their marriage!) It's a bit lengthy, but very worth reading, as a vivid example of just how self-empowering & relationship-enriching Embodiment Practice can be—especially when used not just personally, but interpersonally as well! I met Dylan in a social context through a friend I practice yoga with, and UZAZU came up in our conversation. He briefly described it and, at my request, engaged me in a short demonstration. I knew immediately that this would be the right kind of "therapy" to address some of the challenges my anti-therapy fiancé was going through at the time. We didn't end up meeting with Dylan until three months after we were married, at which point we desperately needed some help! We were very much in love, but for some reason (that neither of us could really understand), I was constantly crying, and my husband was constantly angry. We were fighting every day, and things had gotten quite bad. We tried going to a therapist together, but after two sessions, things were getting worse instead of better. My husband really did not want to talk about things--but I really needed to address them. In a burst of inspiration and desperation, I contacted Dylan. We met with Dylan for 90 minutes. We talked a little and did some exercises with our bodies, our voices, our breath, and our imaginations. During that session, as my husband and I faced each other and did the very first exercise Dylan taught us, I burst into tears--but happy tears. My husband wasn't talking to me, or listening to me talk, but I finally felt like he was HEARING me, and I was getting what I needed. We took this exercise home to practice. The first few times were hard; my husband's body was still resistant. But we practiced for 15 or 20 minutes every morning, and things almost "magically" got better. It was like having a really bad, itchy rash and not knowing where it came from, but getting the right medicine, and suddenly feeling fine again. Now that things are "good" again, my husband and I are still learning more UZAZU, and still practicing regularly. Even outside of our practice time, there are certain sensations we can now communicate to each other, thanks to our UZAZU practice, in other contexts. We are learning how to emotionally give each other what the other person needs. It becomes safe for you to do this in the context of UZAZU, where the other person is also giving you what you need. Dylan is such an effective coach. He is incredibly intelligent, sensitive, and perceptive--of mind, body, emotion, and "energy." He is clear, careful, and direct--gentle at the right times, and also knows when to push and challenge. While I came to him specifically to work on my relationship with my husband, the work has also inspired growth in my other relationships, including my "relationship" with myself. I have only had a handful of sessions with Dylan at this point, but I feel like I have developed more as a person in the last two months than in the past five years on my own. UZAZU, with Dylan as a guide, has really helped me open up certain closed aspects of myself, and I am enjoying all of these "side effects"--I'm becoming less timid, more clear about setting boundaries at work and with my family, and I'm taking care of myself in ways that I wasn't prioritizing before. Consequently, I feel better. Now that you have a sense of what UZAZU Embodiment Practice is all about, a good next step would be to actually experience it! (Only reading about Embodiment is, after all, a bit ironic ;-)) Then can you can begin to feel for yourself what this kind of embodiment practice can bring you. Naturally, UZAZU can't 'fix your problems', but it certainly has been known to significantly shift how people feel & respond in the face of life's many challenges and opportunities! Learn More about the FREE Live Webinar!